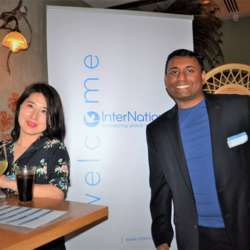 We are happy to welcome you to our first official event as InterNations Sydney Ambassadors and we've chosen the award winning Verandah Bar to host you. 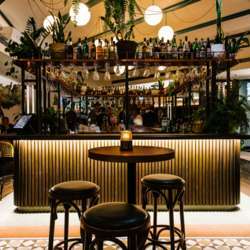 Located just 20 meters from Martin Place station, Verandah Bar is a perfect urban oasis which serves as a one stop hub for delectable food and decadent cocktails. The place is known for its modern European cuisine and wine selections. 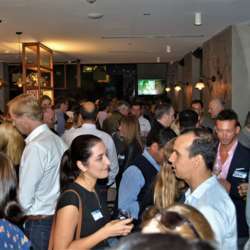 The private Lovers Lane area within the Verandah Bar will be hosting us and is exclusive for InterNations members. With direct access to the bar, it also offers us the privacy we need to interact and connect with our fellow members, while soaking in the ambiance of the place. The event starts at 18:30 (6.30 pm) on Wednesday, 3 April. It's right opposite Martin Place station and within walking distance from St. James, Town Hall and Wynyard stations. Once you enter the venue, you will have signs pointing you to the InterNations event. Please check in with the Ambassador desk to get your name tags and InterNations Token Chips. All InterNations guests would be given a complimentary welcome drink. In addition to that, the venue is also offering a special deal on the food, 2 Pizzas for the price of 1. As usual, the entry fee needs to be paid in cash. We do not have any credit / debit card facility. Please RSVP for the event and please feel free to bring your friends along. 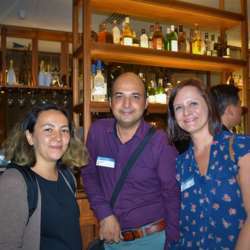 We are looking forward to hosting you and we hope you would have a wonderful experience connecting with fellow InterNations members, while also exploring a new venue in the Sydney bar scene.